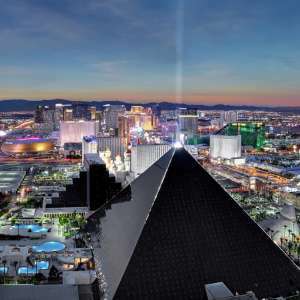 Soaring above the glittering Strip. 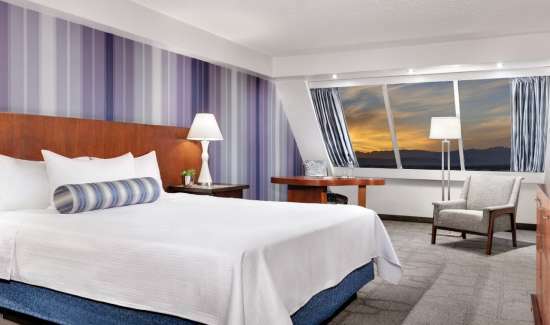 Our Pyramid Rooms features a spacious king bed and a 40” flat screen TV. 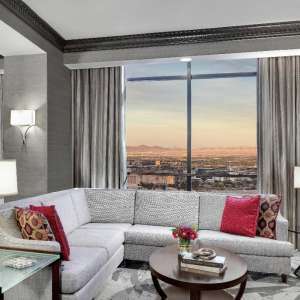 With 3,600 square feet of luxury, the Tower Penthouse Two Bedroom Suite offers a pleasurable haven for your stay. 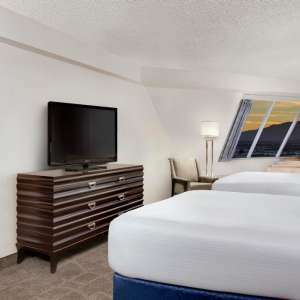 Our Pyramid Rooms features two queen beds and a 40” flat screen TV. There is even an additional half bathroom for guests to make entertaining a breeze. 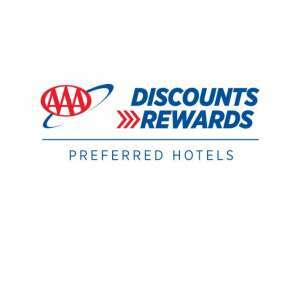 The bedroom has a king bed, separate shower and bath, dual sinks and a vanity space. 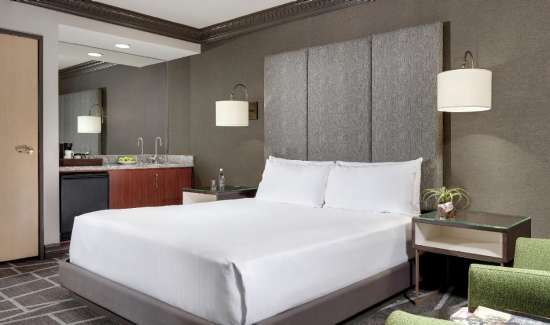 This suite is complete with two bedrooms, each offering a king size bed, master bathroom with separate shower and bath, dual sinks and a vanity space. 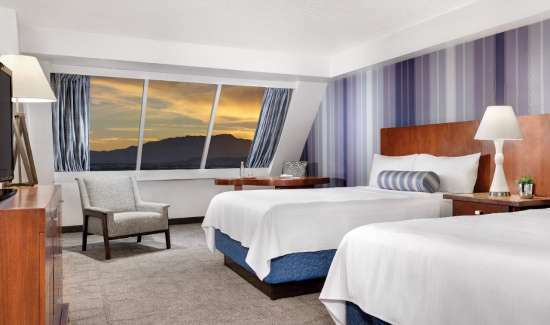 This recently refreshed room located on the top floors brings an eye of style to the pyramid. 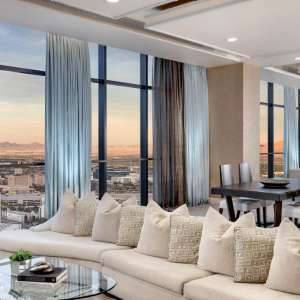 With a spacious living room, dining room, and full wet bar, this rooms brings comfort to another level. 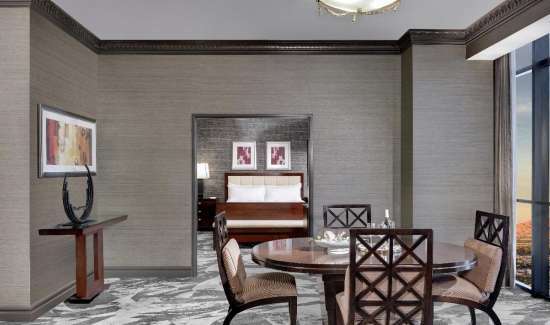 Live like royalty in this newly renovated king suite. 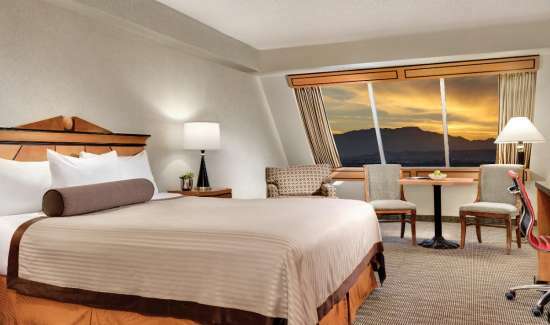 This Pyramid Suite features a soaking tub with a view, adjoining sitting room, and a spacious king bed to unwind. 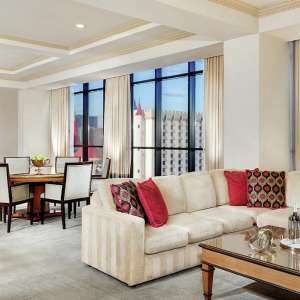 Live like royalty in this newly renovated queen suite. 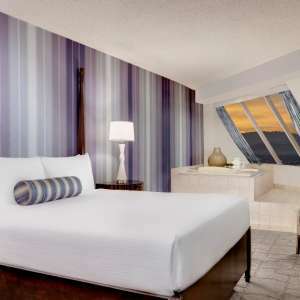 This Pyramid Suite features a soaking tub with a view, adjoining sitting room, and two queen beds. 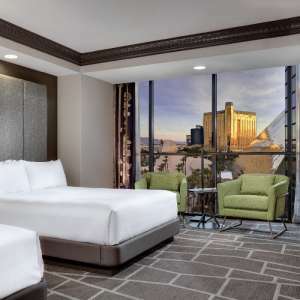 Experience some of the best views in Las Vegas with the floor-to-ceiling windows in your freshly remodeled suite. 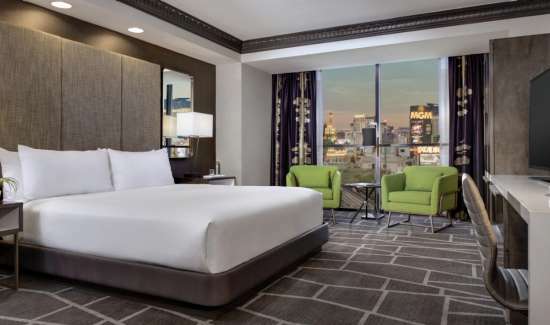 This suite allows for the perfect vacation and will serve as your home base during your stay in Vegas. 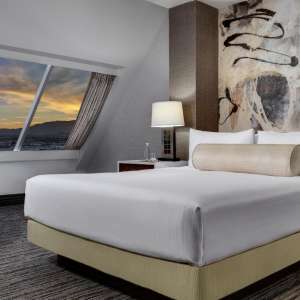 Slanted walls give you a true sense of life inside a pyramid while adjoining suites allow plenty of room. 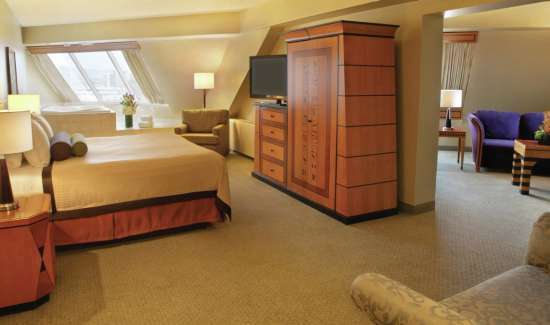 The Pyramid Suite features a soaking tub, separate sitting room, and a spacious king bed that await your arrival. 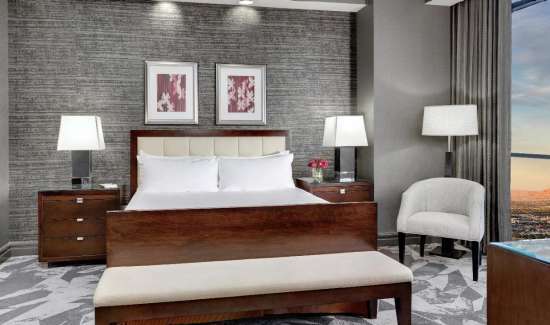 This remodeled minimalist room will welcome you the minute you walk in the door. 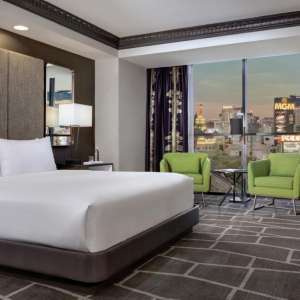 You'll feel as elite as our room looks with its functional and accent lighting as well as new art, which shows images of the Mojave Desert. 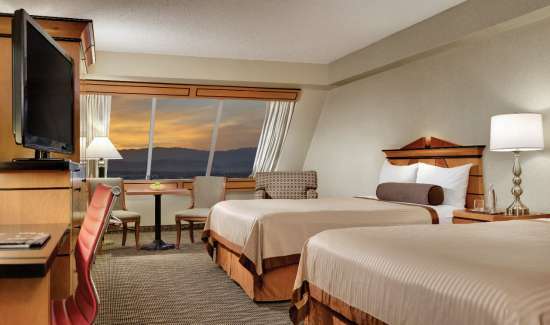 The Pyramid Suite features a soaking tub, separate sitting room, and two queen beds that await your arrival. 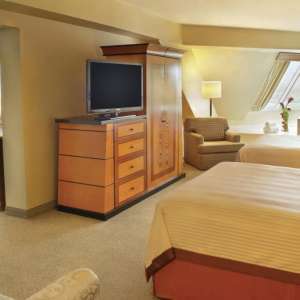 The bedroom has a king bed, separate shower and bath, dual sinks and a vanity space.